Precise drainage plans are essential for architects and planning offices, and it is also important that property owners have their own plans of the drains. This means that sanitary connections can be planned correctly when buildings are modified. 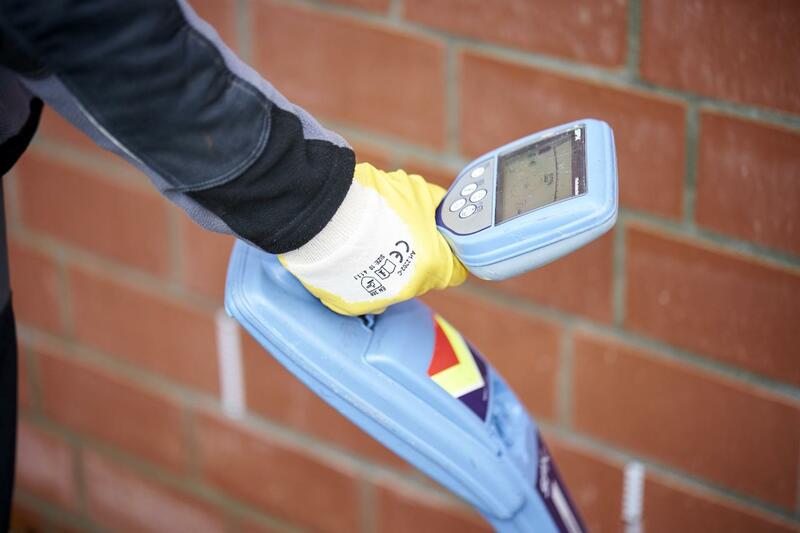 If any of the areas on the property show signs of subsidence, the drain cadastre can provide an indication of whether or not this is connected to a drain problem. How is a layout plan produced? Vorteilhaft ist es, wenn die erste Besprechung vor Ort stattfindet, sodass die Gegebenheiten gemeinsam betrachtet und erörtert werden können. Nach Vorreinigung des Kanals findet die TV-Befahrung statt. Dabei wird der Leitungsverlauf mittels hochempfindlicher Ortungsgeräte exakt geortet. It is advantageous if the first meeting takes place on site so that the local situation can be assessed and discussed. After initial cleaning of the drains, the TV camera is sent through the system to record the exact layout by means of highly-sensitive localisation devices. We locate leaks by means of flow noises or gas detection. Wrong connections are made visible by means of fog machines or test currents. Once the problem has been identified, we can remedy it quickly and reliably. Alongside video recordings and localisation, a layout plan and condition reports are also created in our camera vehicle. State-of-the-art equipment allows precise reproduction of the drain system and exact localisation of problematic areas. To enhance transparency, we note the results of the condition reports in the CAD drawing. 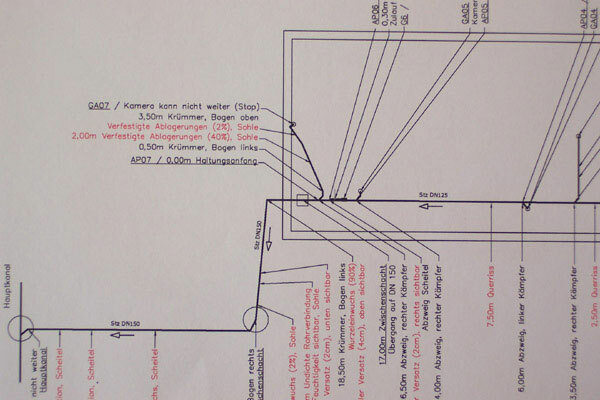 You receive this comprehensive layout, the connected condition reports, the video recording of the drain survey and an overview of any damage – all very clearly for your own plans.